"Jeffrey_Campbell made twenty five posts." "Jeffrey_Campbell put twenty five games in their list." "Jeffrey_Campbell commented twenty five times." "Jeffrey_Campbell put ten games in their list." "Jeffrey_Campbell May the 4th be with you!" "Jeffrey_Campbell was awesome enough to donate to the site!" "Jeffrey_Campbell reported a bug in the site." "Jeffrey_Campbell Happy Pi Day! Celebrate irrationally." "Jeffrey_Campbell commented one thousand times. Whoa!" "Jeffrey_Campbell made one hundred posts." "Jeffrey_Campbell put one hundred games in their list." "Jeffrey_Campbell commented one hundred times." "Jeffrey_Campbell was awesome enough to back the site as a member in 2018!" "Jeffrey_Campbell was awesome enough to back the site as a member in 2016!" "Jeffrey_Campbell was awesome enough to back the site as a member in 2015!" "Jeffrey_Campbell was awesome enough to back the site as a member in 2014!" "Jeffrey_Campbell was awesome enough to back the site as a member in 2013!" "Jeffrey_Campbell joined an event for the first time." 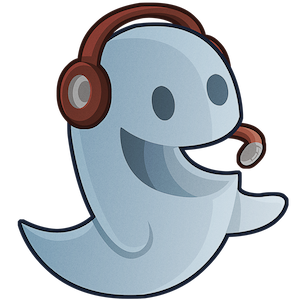 "Jeffrey_Campbell joined 50 events on Cheerful Ghost." "Jeffrey_Campbell joined 5 events on Cheerful Ghost." "Jeffrey_Campbell created an account within the first year of the site launch." "Jeffrey_Campbell submitted some great feedback about the site." "Jeffrey_Campbell made five hundred posts." "Jeffrey_Campbell put five hundred games in their list." "Jeffrey_Campbell commented five hundred times." "Jeffrey_Campbell created an event for the first time. You took the first step in a much larger world." "Jeffrey_Campbell created 50 events on Cheerful Ghost." "Jeffrey_Campbell created 5 events on Cheerful Ghost." "Jeffrey_Campbell successfully invited fifty people to the site! Thats AMAZING!" "Jeffrey_Campbell successfully invited their first user to the site!" "Jeffrey_Campbell successfully invited twenty five people to the site! WOW!" "Jeffrey_Campbell successfully invited five people to the site!"